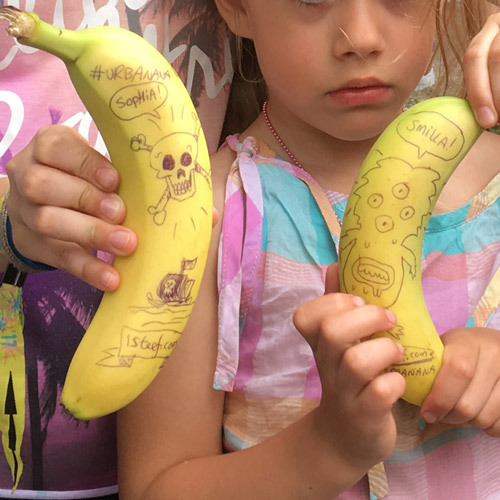 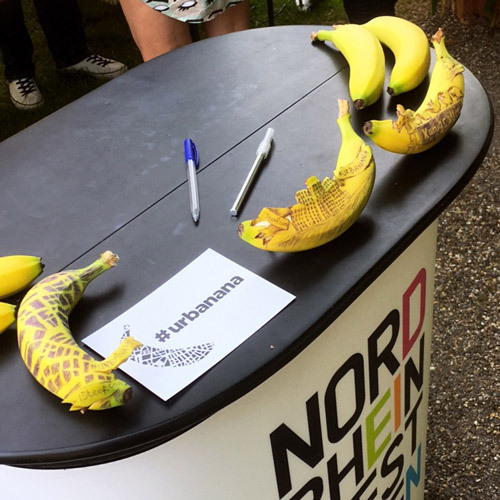 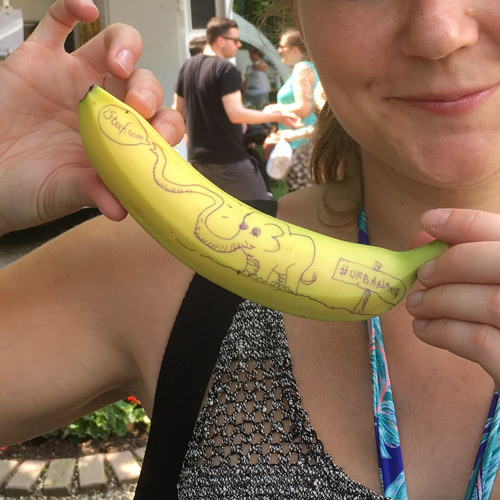 During the Open Source festival in Düsseldorf, Germany I was live fruitdoodling for #urbanana. 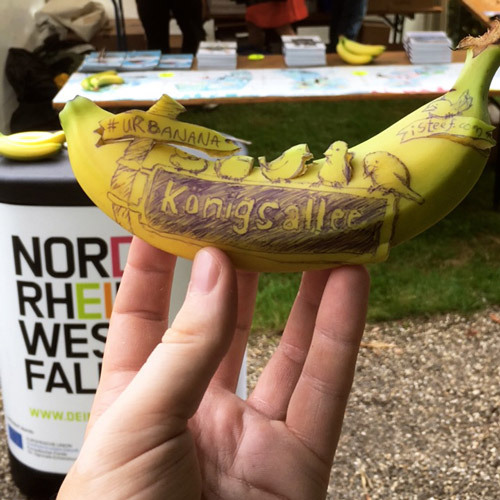 After making some Düsseldorf themed fruitdoodles I started taking requests from visistors. 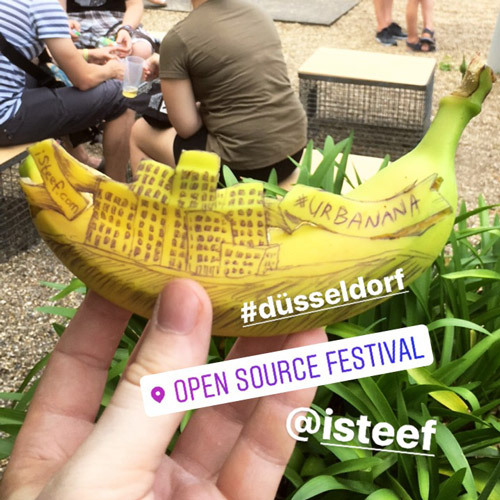 From kids to adults to clients: Stephan Brusche made everyone happy at our #urbanana presentation at Düsseldorf`s Open Source Festival.